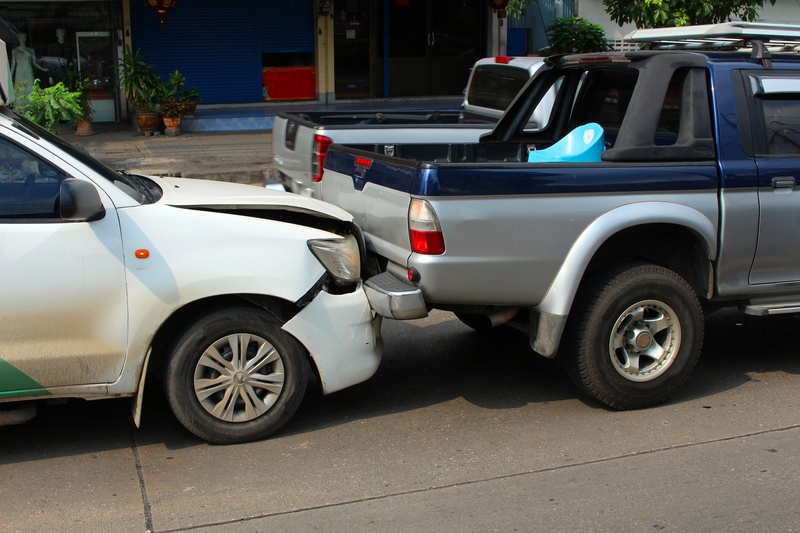 Home Blog Car Wrecks What Can You Expect with a Rear-End Collision Settlement? Approximately six million car accidents occur each year in the United States. Louisiana is in the southern US, one of the more dangerous regions to drive in. One of the most common types of vehicle accidents is the rear end collision. Have you been involved in a rear-end collision that resulted in damage to your vehicle or injury? You may be eligible for compensation for your loss. Keep reading to learn more about what to do after a rear-end collision and what to expect if you may be entitled to a rear end collision settlement. If you have been involved in a rear-end collision, there are several steps that need to be taken immediately. It is imperative that you follow these steps as quickly as possible to save yourself hassle down the road. 1. Get Off the Roadway and to a Safe Place. Move your car off the roadway if possible. If you can’t move your car, make sure you are away from the road. 2. Make Sure No One is Hurt. Check on everyone in your vehicle and those in any other vehicles involved. Make sure everyone is in a safe location and no one is in immediate danger. Regardless of where the incident occurred, it is important to call the police. They will create a police report that will help the insurance companies determine who was at fault for the accident. Exchange insurance and contact information for the other parties involved. Take photos of both vehicles and the scene of the accident. Whether you think you have been injured or not, it is wise to seek medical treatment and have a doctor determine whether any injury could have occurred. Injuries from rear-end collisions often start showing symptoms some time after the accident occurred. Finally, you should consult a personal injury attorney who handles rear-end collision accidents. Depending on fault, you may be eligible for compensation from the other vehicles’ insurance companies. After a rear-end collision has occurred and everyone has been cleared from the scene, if the parties involved have automobile insurance, their carriers will open a claim and begin assessing liability. In simpler terms, this means determining who is at fault for the accident. Fortunately, liability is relatively straight forward in rear in collisions. It is the general standard that the vehicle who rear-ended another vehicle is the one at fault. Some of the common causes of rear-end collisions include distracted driving, following too closely, and driving too fast for the conditions of the road. Insurance companies will examine the damage to both vehicles, take statements from all involved parties, and interview witnesses. There are few cases where the driver who was rear-ended was at fault. This means that if you were the victim of a rear end collision you may be entitled to a rear end collision settlement for physical damage to your vehicle and bodily injury to yourself. It is important to seek medical treatment soon after being involved in a rear-end collision. Even if you think you are fine, there may be soft tissue damage that will start showing symptoms within days to weeks. Rear end collisions often result in soft tissue injuries such as whiplash. These injuries can be long-lasting and require medical treatment and physical therapy. It is not uncommon for injuries from a rear end collision to start showing symptoms weeks after the date of the accident. If you were recently involved in a rear-end collision and have started experiencing pain, seek medical treatment quickly, as this could be an injury from the accident. As you navigate your treatment options and insurance payments, having a personal injury attorney working on your case is critical to getting the best rear end collision settlement. Your attorney will put you in contact with treatment providers with experience in treating rear-end collision victims and providers that will work with you and your attorney to make sure you get the care you need, regardless of your ability to pay prior to your settlement. If you have personal insurance, they may or may not cover your expenses related to the accident. If there is medical payments coverage available through your personal automobile insurance, this coverage may be primary. Insurance companies will often do whatever they can to get out of paying claims. Even if your insurance company pays your medical bills, they may assert a lien against your settlement to recover what they paid. This can be a confusing process. After all, you paid your premiums and should be entitled to the benefits. If you have an attorney working on your case, your attorney and his team will help you understand the process and will work with your insurance company to settle any liens. Your focus should be on recovering from your injuries, not on dealing with insurance companies. If you are not injured in the accident, but still sustained damage to your personal vehicle, you may still be entitled to compensation if you were not at fault. If you carry collision coverage on your vehicle, you have the option of going through your own insurance carrier to repair your vehicle. The trouble with this is that for one, not everyone carries collision coverage. Even if you carry collision coverage, you might have a high deductible that you can’t afford to pay so unexpectedly. Many drivers do not carry rental coverage or their coverage amount is not enough to get them in a rental car for the duration of the necessary vehicle repairs at no cost to themselves. If your insurance company pays for your damage, they will attempt to recover their costs and your deductible through a process called subrogation. Unfortunately, they are not always able to recover the full amount. The other insurance company will try to assign you a percentage of the fault, even if you did nothing wrong. The other option is to go through the insurance company of the at-fault party. This can be difficult because they may not asses the liability the way that you would like and you are on their time table. Your damage and rental expenses would be paid out of the other driver’s liability coverage. Most states require this coverage for all licensed drivers. Unfortunately, not all drivers carry the required coverage. If you are hit by an uninsured or underinsured driver, you may have coverage on your own policy. If you don’t have this coverage, you may have to take legal action against the other driver on your own. As you can see, this is a confusing process for the average person. It is in your best interest to hire an attorney to help you get the best results. How Much is a Rear End Collision Settlement Worth? The answer to this question is highly dependent on your individual case. The nature of the accident, the nature and extent of your injuries and treatment, the assessment of liability, and the number of your medical bills are all factors that go into assessing the value of your case. If you are the victim of a rear-end collision, you are entitled to compensation for your economic damages and non-economic damages. Economic damages include medical expenses and lost wages. Non-economic damages include pain and suffering. Pain and suffering is a subjective value determined by how the accident and injuries affected you. Each insurance adjuster or each jury will value your case differently. Your attorney will work with the insurance companies to settle your claim without litigation. Litigation is an expensive and time-consuming process that all parties want to avoid if possible. If a reasonable settlement cannot be reached, your attorney will litigate your case for you. If your case goes to litigation, you will absolutely need representation by an attorney. It is difficult to put a number on the value of all rear end settlement collisions because they are subjective to each case. Factors such as age, pre-existing conditions, and permanency are all taken into consideration as well. Many insurance companies use a formula of 3-5x your economic damages to assign a full value to a claim. Liability then determines what percentage of the full value you are entitled to. Since rear-end collisions are rarely the fault of the victim, you may be entitled to the full value of your claim. If you were involved in a rear end collision you may be entitled to a rear end collision settlement. Since the process for evaluating and recovering your damages is complicated, it is important to hire a personal injury attorney. Contact us today to schedule a free case evaluation to determine what your case might be worth. What are Damages in a Car Accident Personal Injury Lawsuit?